Russell, Hilary. "Norman Bethune". The Canadian Encyclopedia, 07 September 2018, Historica Canada. 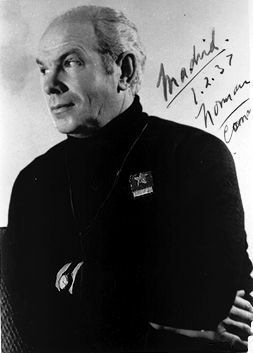 https://www.thecanadianencyclopedia.ca/en/article/norman-bethune. Accessed 18 April 2019. Henry Norman Bethune, surgeon, inventor, political activist (born 3 March 1890 in Gravenhurst, ON; died 12 November 1939 in Huang Shiko, China). Portrait of Norman Bethune taken in Madrid, Spain, 1937 (courtesy Library and Archives Canada/PA-114788). Henry Norman Bethune, surgeon, inventor, political activist (born 3 March 1890 in Gravenhurst, ON; died 12 November 1939 in Huang Shiko, China). Bethune's fame in Canada has resulted from his status as a hero in the People's Republic of China and the impact of this on Sino-Canadian relations. Son of the manse, Bethune took up the profession of his surgeon grandfather. He interrupted his medical studies in Toronto to be a labourer-teacher at Frontier College (1911–12) and to serve in 1915 as a stretcher bearer in the First World War. Following a stint in the Royal Navy, postgraduate training in Britain and private practice in Detroit, Michigan, he was found in 1926 to have contracted pulmonary tuberculosis. 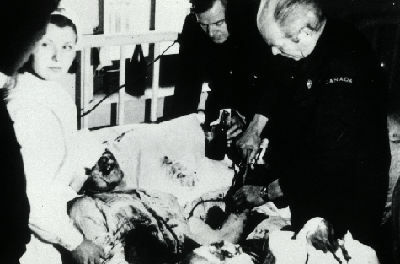 After this personal crisis, he devoted himself to other tuberculosis victims and to thoracic surgery in Montréal at the Royal Victoria Hospital and later at the Hôpital du Sacré-Coeur, Cartierville, Québec. 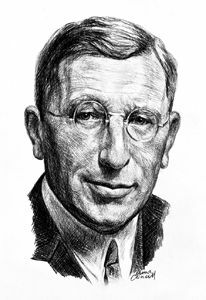 Between 1929 and 1936 he invented or redesigned 12 medical and surgical instruments and wrote 14 articles describing his innovations in thoracic technique. He became increasingly disillusioned with surgical treatment and concerned with the socioeconomic aspects of disease. He challenged his profession and proposed radical reforms of medical care and health services in Canada. After a visit to the Soviet Union in 1935, Bethune joined the Communist Party. This commitment took him to the Spanish Civil War in 1936, where he organized a mobile blood transfusion service, the first of its kind, to operate on a 1000 km front. He returned to Canada in 1937 to raise money for the antifascist cause in Spain and soon turned his attention to the war being waged by communist forces against the Japanese invaders in China. "Spain and China," he wrote, "are part of the same battle." 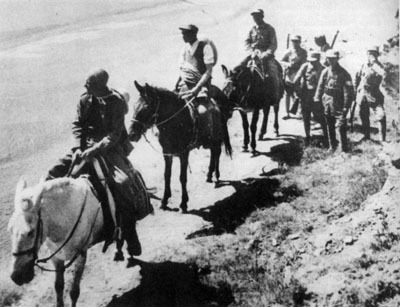 Bethune left Canada for the last time in 1938 to join the 8th Route Army in the Shanxi-Hobei border region. There, he was a tireless and inventive surgeon, teacher and propagandist, and he adopted the cause and the people as his own. His accidental death from septicemia evoked Mao Zedong's essay "In Memory of Norman Bethune," which urged all communists to emulate his spirit of internationalism, his sense of responsibility and his devotion to others. One of three prescribed articles during the Cultural Revolution, the essay made Bethune's name almost synonymous with Canada in China. T. Allan and S. Gordon, The Scalpel and the Sword: The Story of Dr. Norman Bethune (1971); W. MacLeod et al, Bethune: The Montreal Years (1978); P. Stevens, And the Dying Sky Like Blood (1974); R. Stewart, Bethune (1973) and The Mind of Norman Bethune (1977); R. Stewart and S. Stewart, Phoenix: The Life of Norman Bethune (2011); A. Clarkson, Extraordinary Canadians: Norman Bethune (2009). Roderick Stewart and Sharon Stewart, Phoenix: The Life of Norman Bethune (2011). Norman BethuneA biography of Dr. Norman Bethune from the Canadian Medical Hall of Fame. Norman BethuneBiographie brève de "Dr. Norman Bethune." Par le Temple de la renommée médicale canadienne.